Scott leaned on his horn and roared through the red light. Six lanes of traffic on Van Ness with the green light on their side lurched forward then slithered to a halt in the same breath. A barrage of blaring car horns trailed after him. Geary Boulevard rose up on the other side of the intersection. Scott tightened his grip on the wheel and braced for the jarring impact. His Honda sedan bottomed out on the steep incline, but maintained its speed. With the gas pedal floored, the car accelerated and closed in on a slow moving SUV switching lanes. Scott jumped on his horn again. The SUV froze, straddling both lanes to block his path. “Idiot,” he snarled and shouldered his way past the other driver. Traffic was everywhere, but when wasn’t it in San Francisco? He weaved between two cars, jerked out from behind a MUNI bus and still had a stream of vehicles ahead. Hearing his wife cry split him in two. His own tears welled, but he bottled them for later. He needed to be strong. If he let this overwhelm him, then what good was he to his family? “I’m nearly there.” His hoarse voice cracked in the middle of his short reply. He hung up and tossed the phone on the passenger seat next to him. How could his life have changed so irrevocably? Just twenty minutes ago, he’d been living a normal life. A good life. He was a reporter for the San Francisco Independent. He and Jane had a loving marriage–a miracle in this day and age. They owned a house in a good neighborhood in the city, even with its insane real estate prices. It was the perfect place to bring up kids–and they did. They had two great kids. It had only taken a moment to lose one of his children. Some sick freak had snatched him out from under them. How could that happen? He and Jane took every precaution. They’d entrusted their children to a good school–the best they could afford with their two incomes. They’d gone private to prevent this kind of thing from happening. He palmed away the tears clouding his vision and swerved around a UPS truck. He felt the guilt spreading through him, eating away at his spirit. He’d failed his son, Sammy. Abduction was a parent’s worst fear, but he hadn’t wanted to be one of those parents who saw phantoms on every street corner. Putting bars on the windows and deadbolts on the doors didn’t keep them out, it kept you in. But that cavalier attitude had led to this. His worst fears had been realized. Someone had taken his son. A new sensation swept away his guilt. Imagination, strong and invincible, assaulted him. He’d always been able to conjure up images from secondhand accounts. That’s what made him such a good reporter. He didn’t just relay facts. He told stories–living, breathing stories. He turned readers into eyewitnesses–transporting them to the actual locations, inserting them inside the people present at the celebration or the tragedy. Now that talent turned on him. From the meager facts available, Scott constructed a nightmare. Sammy appeared to him, his smiling face melting into a scream as the abductor dragged him kicking and screaming inside a van. His imagination blinded him with these false, but true, images. The abduction was true, but the events were lies, just images his fear conjured up. He would know nothing until he reached the school. He stabbed down on the gas again and frightened a hybrid hatchback out of his way. At the cost of a door mirror snapped off against the corner of a Safeway trailer truck, he made it to the school. Half a dozen SFPD cars were staked out in front. Was that all his son warranted–six patrol cars? Not that these cops were any good now. Talk about closing the stable door after the horse had bolted. Where were these bastards when Sammy was being snatched? He ground to an untidy halt in front of the cop cars and abandoned his Honda in the roadway. Let the city tow it, he thought. He spilled out onto the asphalt, gathered himself up and raced towards the school gate. He hadn’t gotten ten feet when his cell rang. He darted back and snatched it off the car seat. He hit the green key on the run. His antics drew the attention of two uniformed officers protecting the school’s perimeter. Seeing him charging towards the school gates, they moved as a unit to intercept him. The voice on the line chilled him. Instead of his wife’s soft tones, he heard a voice that was harsh, blunted by an electronic disguise. The words came out robotic and demonic. Scott recognized the voice, but he hadn’t heard it in eight years. The raw adrenalin left him as swiftly as it had come and he ground to a halt with the cops still racing towards him. The cops caught up to him. They bombarded him with questions and threats. He ignored them. He listened to the distorted voice on the line until it hung up. He lowered the phone. A wave of nausea swept over him, taking his legs out from under him. The two cops caught him before he hit the ground. “Jesus Christ,” one of the cops said. He’d answered his desk phone out of reflex and he cursed himself for it. He was late finishing up a feature piece for tomorrow’s deadline and some two hours past the time he’d told Jane he’d be home at his last update. No doubt she was calling to chew him out about leaving a pregnant woman expecting twins alone. Only last night they’d agreed on names–Sammy and Peter if they were boys, and Emily and Rachel if they were girls. “This is the Piper,” the garbled voice said. Yeah, right, Scott thought. There were plenty of freaks out there eager to see their name in print. What better name to use than that of the infamous serial kidnapper? It was common knowledge that the Piper used an electronic voice disguiser. It wasn’t exactly a difficult item to obtain these days with all the spy gadget stores around. What a surprise, Scott thought. He checked his watch. If he left in fifteen, he’d get home by eleven. Scott smiled. He had to give it to this guy. He had plenty of cool. He sounded just like the Piper. Scott sat up in his chair. Silence. Just what Scott expected. He was about to hang up when the Piper spoke. Hairs stood up on the back of Scott’s neck. There’d been plenty of publicity surrounding the Piper and his seven kidnappings in as many years. The Piper targeted the families of Bay Area millionaires. 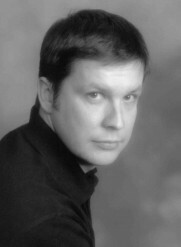 The Piper’s current victim, Nicholas Rooker, was the son of San Francisco’s premier property developer, Charles Rooker. A lot had been said about the kidnapped children, but Scott couldn’t recall any mention of doping. Even so, that didn’t make it the truth. Scott hung up his phone and hit the internet. He combed story after story and found no mention of chloral hydrate. Even the Independent’s own morgue kicked up nothing. He called Keith Ellis on his cell. Ellis was a reporter who was tight with the cops, since he had family in the SFPD and Oakland PD. Ellis tried shooting the breeze, but Scott shot him down. He had fifteen minutes before the Piper called back. “Okay, what do you need?” Ellis asked, sounding put out. He was in a bar judging by the burble of voices and music in the background. Scott hung up in the middle of Ellis’ protests. He eyed the clock at the right-hand corner of his computer monitor, then his desk phone, then the clock again. If he really did have the Piper calling him, it was the story of his career. He tried not to let his imagination run away with itself. Ellis called back with three minutes to spare. All of the Piper’s kidnap victims had been doped. The Piper drugged them to keep them docile. When the FBI ran blood tests on the children, they found chloral hydrate in their blood. The Feds were keeping the knowledge from anyone outside of the investigation. Scott’s excitement left him panting. Ellis pushed for details, but Scott hung up on him and ignored his subsequent calls. The voice claiming to be the Piper called back exactly one hour from his previous call. “Well?” he said. Scott deserved that. He was hoping for a little ego stroking. If anyone was going to get his ego stroked, it was the Piper. He’d come out of the shadows to talk after all the speculation about him. Scott wasn’t going to blow it now. That decision eight years ago had cost Nicholas Rooker his life. When Scott looked back on that night, his involvement with the Piper seemed so tenuous. If he hadn’t stayed late that evening, he wouldn’t have picked up the phone. If the Piper had picked a different newspaper, a different reporter’s life would be in shreds. If he’d only gone to the FBI right away, then… So many ifs. That night had led him here. He was in the principal’s office with Peter on his lap, the boy’s arms wrapped around his neck. Jane sat beside him, leaning into him as if body heat would make things better. They’d all been crying. Clare Donnelly, the school principal, kept telling them how sorry they were, as did the two SFPD inspectors. Their condolences failed to penetrate. Scott was numb. The Piper hadn’t made a threat after Nicholas Rooker’s death, but it hung there in the air unsaid and unseen. A lot of people blamed Scott for botching the Nicholas Rooker kidnapping. He’d started writing his own ticket when the Piper came to him. The infamous kidnapper had selected him out of all the reporters out there. The LA and New York Times were courting him. Book offers were falling through the mail slot daily. A Pulitzer Prize had been put aside for him when the next round of awards came around. He was talking to the Piper, kidnapper of children. But he wasn’t. He’d been conned. He’d been talking to Mike Redfern. Redfern wasn’t a malicious hoaxer or some deranged lunatic who claimed responsibility because his cat told him to. No, Redfern was a sad, lonely man who lived out elaborate fantasies. He’d read and absorbed the theories about the Piper’s identity and put himself in the kidnapper’s shoes. He’d gotten the Piper’s identity down pat. Scott hadn’t been the only one fooled. The FBI believed Redfern was the Piper, which only fueled him to keep going with his fantasies. Only when the FBI caught him, did it sink in that they’d been suckered. Worse still, while everyone had been focused on Redfern, the Piper had been overlooked, his demands disregarded and his ultimatum ignored. Nicholas Rooker’s body had been found in Golden Gate Park the day after Redfern’s arrest. The Piper had been humane. He’d sedated the child first before smothering him. Nicholas’ face from that night flooded Scott’s memory. The image became so vivid it hurt his vision. Sammy’s face bled into Nicholas’ until Nicholas no longer existed and Scott stared at his son’s dead face. The world had pointed a finger at Redfern. His childish antics had led to Nicholas Rooker’s death. The finger pointed at Scott too. The LA and New York Times stopped calling. Hate mail replaced the book offers. The Pulitzer went to someone else. And the Piper? He never made a public announcement. He didn’t call a competing newspaper or send a note to the television stations. He simply disappeared. After seven kidnappings netting him in excess of ten million dollars, he went underground. The FBI. The mention of the illustrious name was meant to fill him with confidence and hope. Unfortunately, there wasn’t a lot of hope to be had considering the Bureau had failed to catch the Piper on all the previous occasions. Only one thing could make things worse. 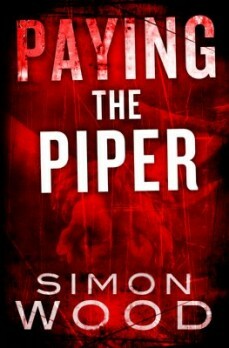 "If there is such a thing as reincarnation, I want to come back as Simon Wood, to write the wondrus books he has written ans especially to have written his new one, Paying the Piper. I'm seriously jealous of his talent and I hate to admit that but dammit, he writes like a dark demented angel. He is the real deal, already knocking on the door of the A-list. He's that good....a ferocious raw artist." "Tense, fast-paced, and near impossible to put down."